Imagine three men on bar stools and heavy percussive guitar crossed with Bluegrass and you've got Hellshed. Hailing from Italy and Suffolk, with one member wearing a dog collar threatening to bless the audience, they came across like something you've never quite seen before. Apart from one slightly Psychedelic influenced number 'Flowers' and a bit of a Dave Lee Roth 'Just A Gigolo' moment, it was pretty noisy guitars and raucous singing with one foot in the camp of Seasick Steve and the other in Metal. 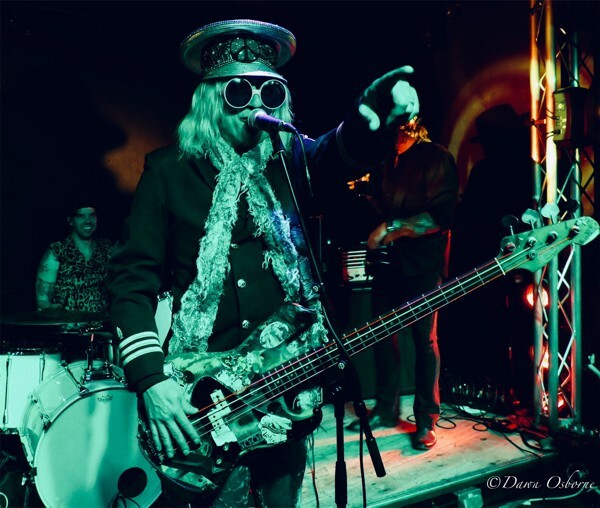 Last Great Dreamers are vintage glamsters with a dash of T-Rex, a smattering of Stones and a great deal of seventies style and panache, including the rough Punk edge and a peppering of New Wave wrapped up in a Clockwork Orange/Alice in Wonderland aesthetic. It all adds up to whole lotta Rock 'n' Roll and a magnetic stage presence. 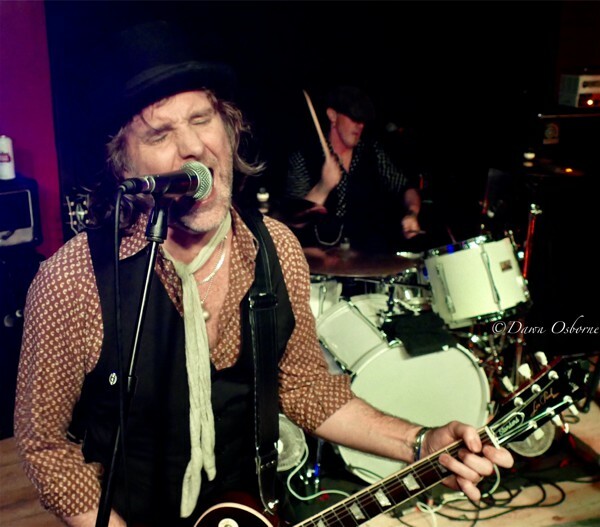 Stomping chirpy frontman Marc Valentine made the most of the staccato rhythms for his idiosyncratic moves and with songs with big sticky choruses like 'White Light, Black Heart' it was difficult to put a foot wrong. 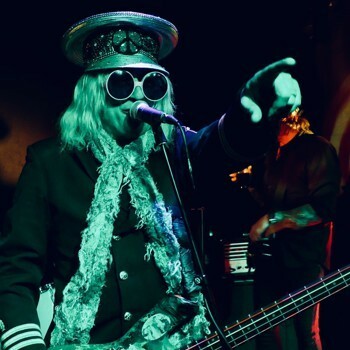 Enuff Z'Nuff kicked off with the best track in my opinion from the new album, 'Metal Heart', it's a big Hard Rock number with its feet in the seventies and its eyes on the stars. With a trip through the back catalogue with 'Kiss The Clown', 'Heaven Or Hell' and 'In The Groove' there was a show of supreme musicianship to a jam-packed crowd. There was a super-fast guitar solo or two which were blurred to the normal eye, slo-mo needed to see what was really going on. Their cover of 'Gene Genie' is a rockier version with super harmonies and better than the original. 'Diamond Boy', the title track from the new album, worked really well live and with its poppy overtones and heavier back end it fitted right in and was a great segue to the absolute classics 'Fly High Michelle' and 'New Thing'. Encore 'Dog On A Bone' made the point that the band has now moved forward from the classic days and is still producing fine songs with meaty hooks, sufficiently sleazy to get the band a support slot for Ace from KISS. With an eye to the fact that it was Valentine's Day the final encore was 'Baby Loves You', once again knocking the crowd out with stunning harmonies and class. Enuff Z'Nuff were the best I had ever seen them during this show. The new line-up with Chip on lead vocals has become a well-oiled machine and the quality of the sound tonight was exceptional. The vocals and harmonies were simply so good it was like listening to an orchestra. 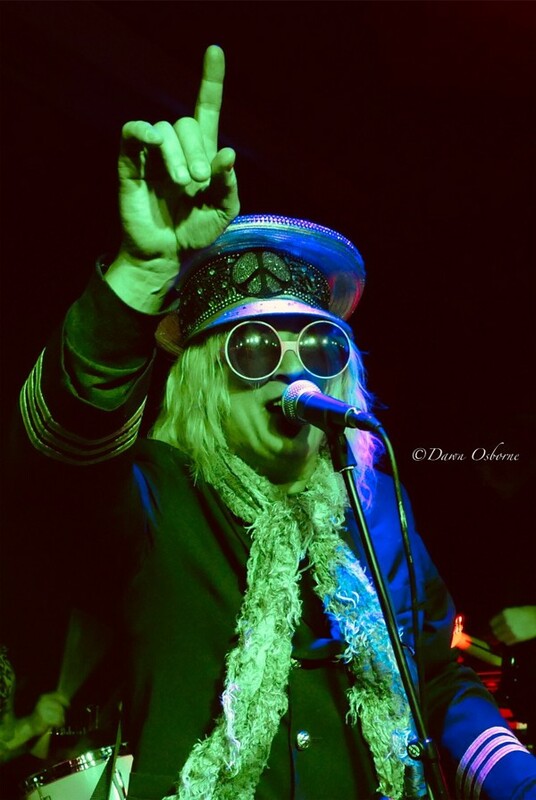 With the diamanté peace sign military hat, pink overlarge seventies round glasses, silver velvet bootcut kecks and silver starry platforms this band goes up to eleven on effort, style and substance. They simply should be in a much larger venue and as the crowds gradually grow again this must be only just around the corner.